Gwen Stefani has been hard at work on her third solo album for more than a year now, but we are finally going to be able to get the full record. Just ahead of her upcoming single, “Make Me Like You,” Gwen has shared a 12-song tracklist and album title for her highly-anticipated release. 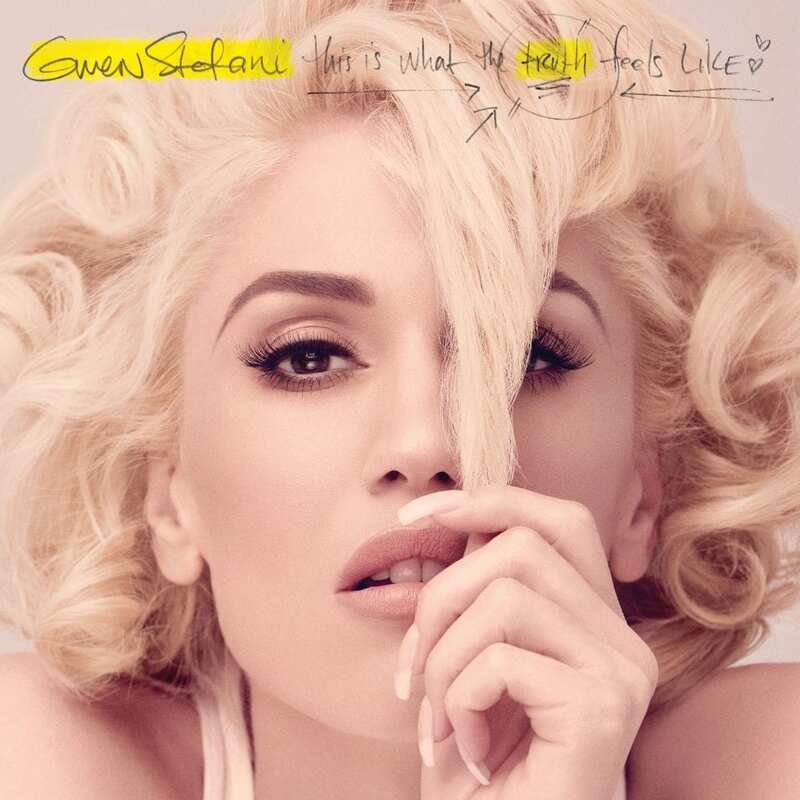 Her new album is titled This Is What The Truth Feels Like, and it will be available on March 18th! UPDATE: There are also six known bonus tracks in addition to the twelve listed below. The four hearts indicate bonus tracks that are not on the regular edition. Target’s exclusive deluxe edition of This Is What The Truth Feels Like includes four bonus tracks (numbers 13-16); the Japanese standard edition includes another two bonus tracks on top of that (numbers 17-18). “Loveable” is track number 13 on the international deluxe edition. It’s quite the generous list of songs! 3. Where Would I Be? So far 18 tracks have been announced. Gwen had stated that she has enough material for two albums, after all! It’s nice that we will get to hear so many of them. This Is What The Truth Feels Like has been in the works for quite some time now, but now we’re just a month away from hearing it in full. Gwen’s single, “Make Me Like You,” is about to be released, and already a lot of exciting album news has come with it. Between now and March 18th, read up on all we know about Gwen’s new record, and keep checking back here for all the latest Gwen Stefani music news.